Google's latest Android Wear update lets your smartwatch stay connected when your phone isn't present. Magic? Kind of. Here's what it's like to use. Ever wish you could leave your phone at home and rely only on your smartwatch for a while? With Google's latest Android Wear update -- available now on the LG Watch Urbane and making its way to other Wear watches soon -- you can. I'm in the midst of getting to know the Watch Urbane and will have some more detailed thoughts on the device later this week (update: They're here!). For now, though, I wanted to share a quick take on Wear's new Wi-Fi connectivity option as I've experienced it on the watch. Here's the deal: Once you enable Wi-Fi connectivity in Android Wear, your watch can send and receive data even if your phone's out of range. The watch just has to be somewhere with an accessible Wi-Fi network -- one that's either public or to which you're already authorized (i.e. you've previously typed in its password and connected to it from your phone) -- and your phone has to have an active data connection of its own. The two devices don't have to be on the same network or in the same physical location; your phone could be sitting in your car and you could be miles away in a building with Wi-Fi access. As long as the phone is getting some sort of data -- be it via Wi-Fi or a mobile data network -- and the watch is in a place with an accessible Wi-Fi network, you're good to go. I tested this by turning off my phone's Wi-Fi and Bluetooth and heading out to the gym. Once I was inside the building (and thus in range of its Wi-Fi network), my watch showed itself as being online in less than 30 seconds. 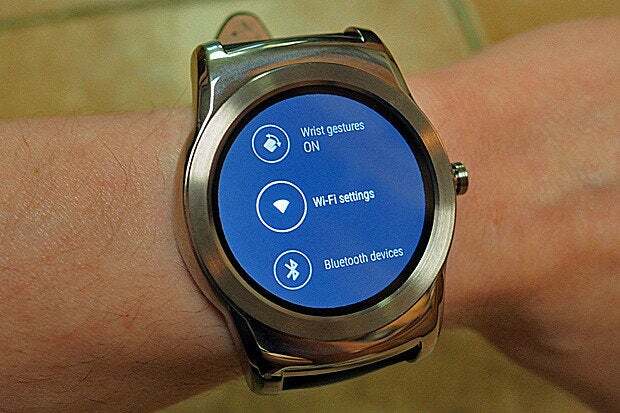 From that point forward, without my phone nearby or in any way connected, the Watch Urbane received notifications like new text messages, Hangouts messages, and emails. I could respond to those messages from the watch via voice. And I could send new messages by using the new Contacts list in the latest Wear update, which is accessible by swiping to the left twice from the main Wear home screen. I could even use apps like Google Keep -- viewing existing notes and lists and dictating new ones (which I confirmed showed up in my account almost instantly). I could give regular "Okay, Google" voice commands, too, but those worked somewhat sporadically; some of the time, the watch would time out and give me a "Disconnected" error instead of an answer. That was the only function that didn't work consistently for me in this context. I could also listen to music, though only music that I'd previously stored locally on the watch (something that was made possible by a previous Wear update and doesn't actually have anything to do with the active data connection -- you just have to use Bluetooth-enabled headphones in order for it to work). 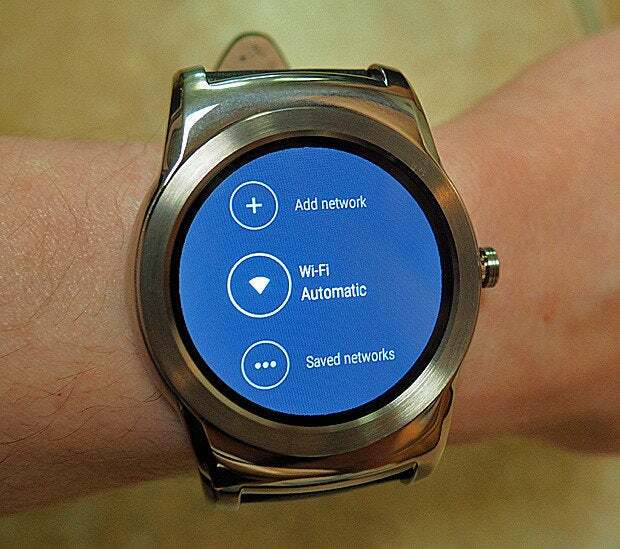 Now, this new feature does require hardware compatibility, so not every existing Android Wear watch will get it. From the sounds of it, the Asus ZenWatch, original LG G Watch, and LG G Watch R are the main exceptions. But presumably most new Wear hardware moving forward will be built with it in mind. Remember, too, that with the right hardware, a Wear watch can also let you use GPS without an active phone connection (something supported only by the Sony SmartWatch 3 as of now). With an app like RunKeeper, that can allow you to head out into the wild without any data connection and still keep track of your fitness progress. For me, personally, the GPS potential doesn't mean much. But after using the new built-in Wi-Fi option, I'm very excited to have that in my life. Whether at the gym or wandering around a house or office, I can stay connected and do the things I need to do the most -- sending and receiving messages, glancing at and dealing with incoming emails, looking at my notes, and keeping tabs on any random notifications that happen to come in -- whether my phone's nearby or not. That's a pretty powerful perk to have on my wrist.